A landscape architect by training, Jack Dangermond along with his wife, Laura, founded Environmental Systems Research Institute – known as ESRI. Their vision was to use computer mapping and analysis to help design a better future. ESRI creates cutting-edge Geographical Information Systemsand GeoDesign technologies used in every industry to make a difference worldwide. Recently Mr. and Mrs. Dangermond donated 165 million dollars to the Nature Conservancy to protect thirty-eight square miles of incredibly bio-diverse undeveloped California Coastal land. A beloved and highly supportive fan (me) of Ralph Nader since the 60’s, was struck with this egregious moment towards the end of the discussion with Jack Dangermond in this recent podcast: Mr. Dangermond was explaining a young girl’s presentation concerning per capita expenditures on high school students in the Los Angeles area. As he reached the climax of his comments, to answer the question as to what he thought was a highlight in his career, he was stating, “And the girl pointed her finger across the audience and said…” At that point Ralph very rudely interrupted with something so insignificant to the topic that I don’t even remember what was said by Ralph. He never allowed Mr. Dangermond to finish his story. Please, Ralph, let your guest speak. I can’t stand cliff hangers. I will be forever trapped in this rare Nader knowledge vacuum until I know what was said by this girl. The full Roosevelt HS presentation begins at 06:55 – definitely worth a listen, if you have a little time. Hope that helps. What a positive, inspiring and all around great show. Thank you so much Dangermonds. It is reassuring that there are environmental and publicly minded people who care enough to do something great like this. Bless you. Thanks to the Ralph Nader Radio Hour for informing the public about this. By the way, 24,000 acres is 37.5 square miles. 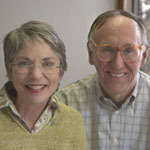 Very proud to be working for these folks (Jack & Laura); they are truly an inspiration. Thank goodness for people like Jack and Laura Dangermond, they are doing this country and ultimately the world a service that is unique and very wonderful. I am proud that my son is employed at such a company as ESRI. He is good enough to share things like this interview with Ralph Nader among other publications etc. Wonderful show! I am a regular listener, and has been for some years now. I am a Norwegian that loves the US, and I have learned that the the nation need strong voices speeeking for the commen men against corperate business. Stay the course!! You mentioned healing…and as with nature…many people who have no idea or care to understand healing….and as an advocate for health and wellness and natural healing….Thank you for all of your beautiful efforts…..
I’m a big fan of The Nature Conservancy and hope everyone will support. Jack Dangermond is right – we have to change our attitude toward nature from something we’d admire from afar to actively managing it, whether it’s making your yard more wildlife-friendly and bio-diverse (native plants and edibles! ), to planting trees in cities and suburbs, to picking up litter, to supporting the work of conservation groups and preserving land. I think it’s great that he and his wife are saving 24,000 acres of pristine California land. We have so much work to do. If you’re not helping out, please join the effort to save Our Mother. Finally got to listen to this. Bill Gates light. Also, some disingenuous claims about the company: it’s very proprietary and competes against its users for contract work, to name a couple of issues. To be fair, Jack does do some good work and so does his company.